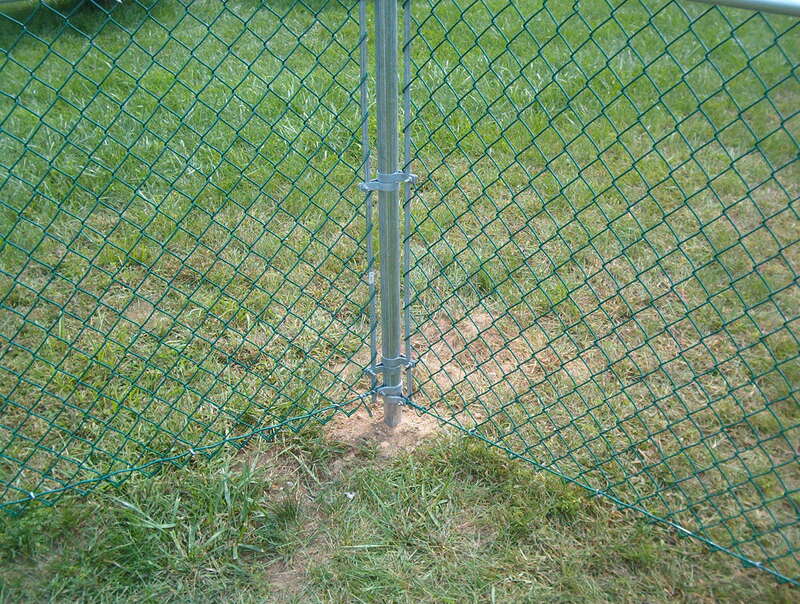 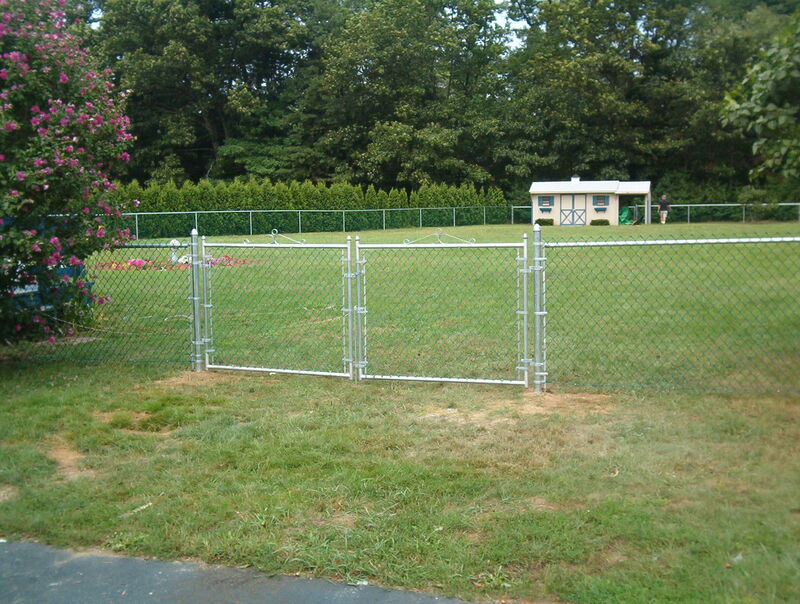 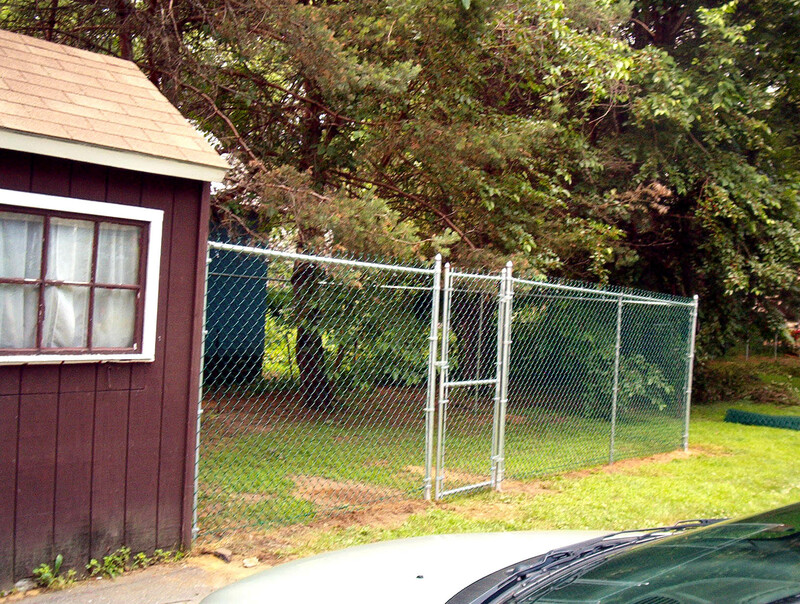 Chain link is versatile as well as durable. 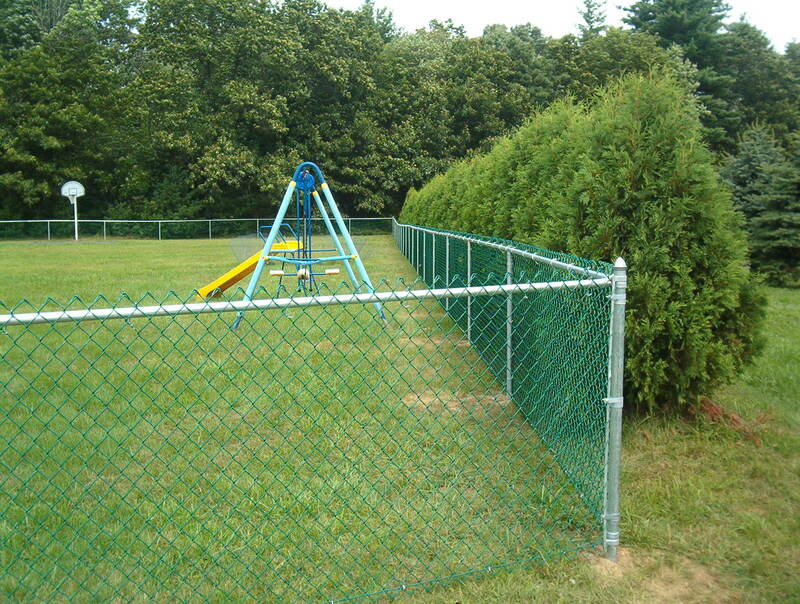 Available in traditional galvanized as well as vinyl coated systems, in 3'-8' heights, chain link is ideal for industrial, commercial and residential settings. 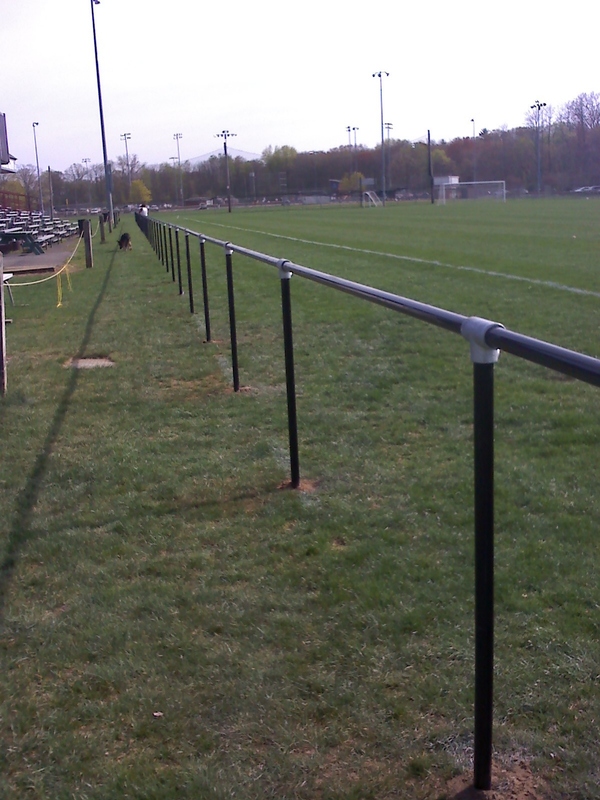 PVC slats available for additional privacy. 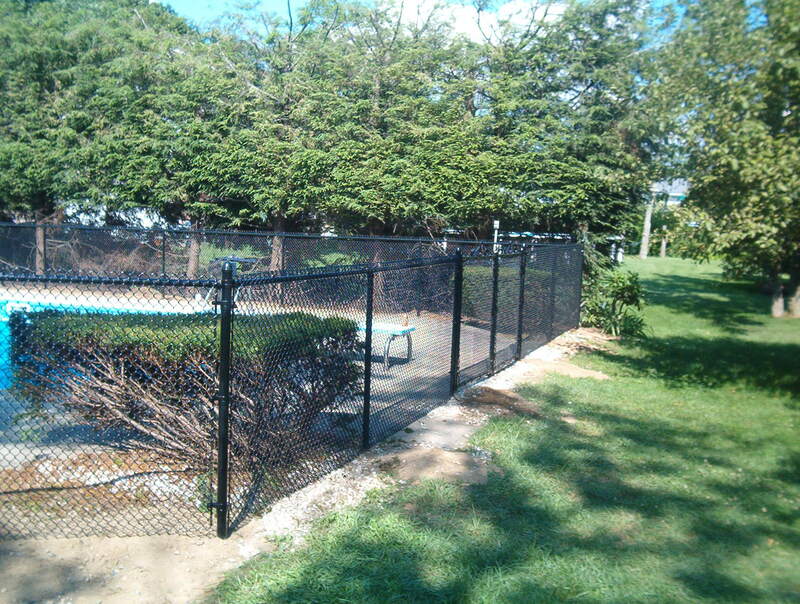 Vinyl coated systems available in black, brown, white and green. 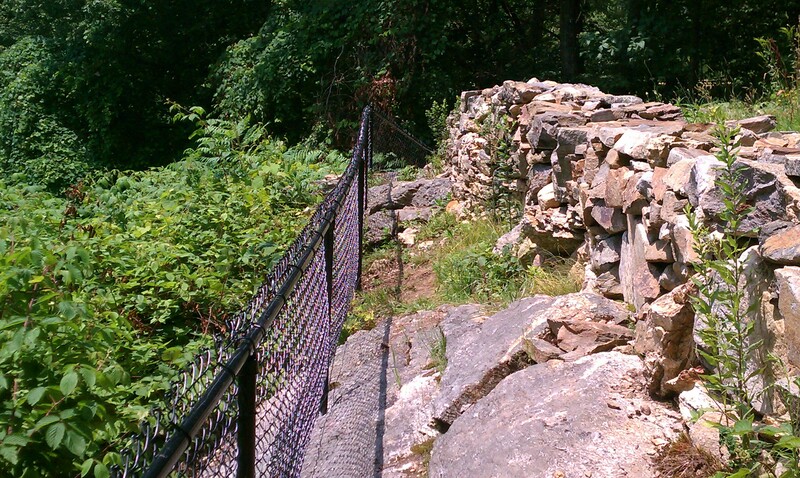 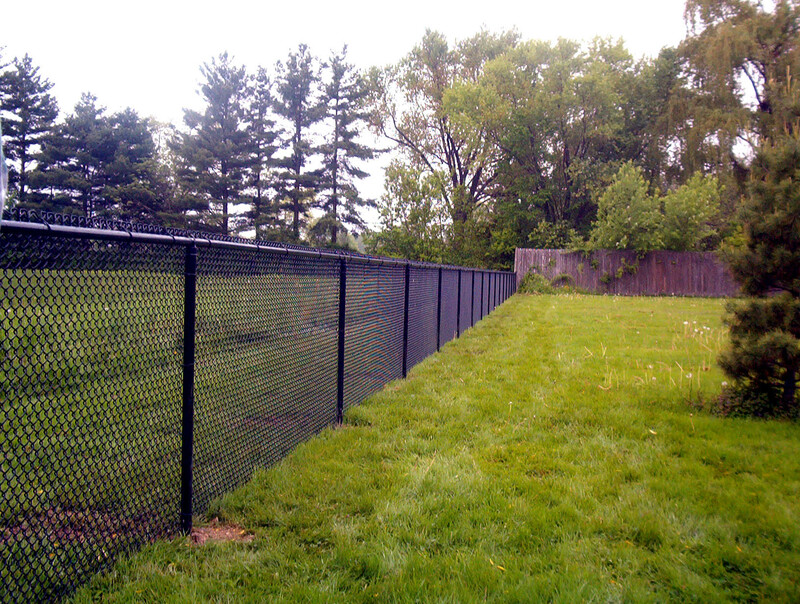 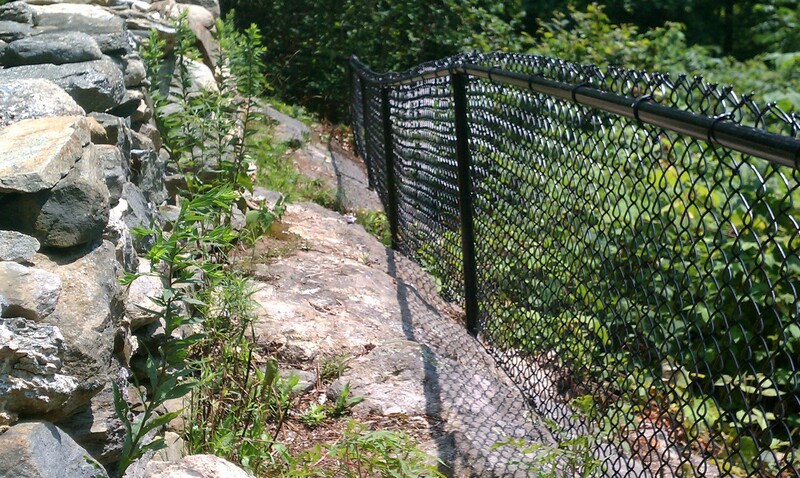 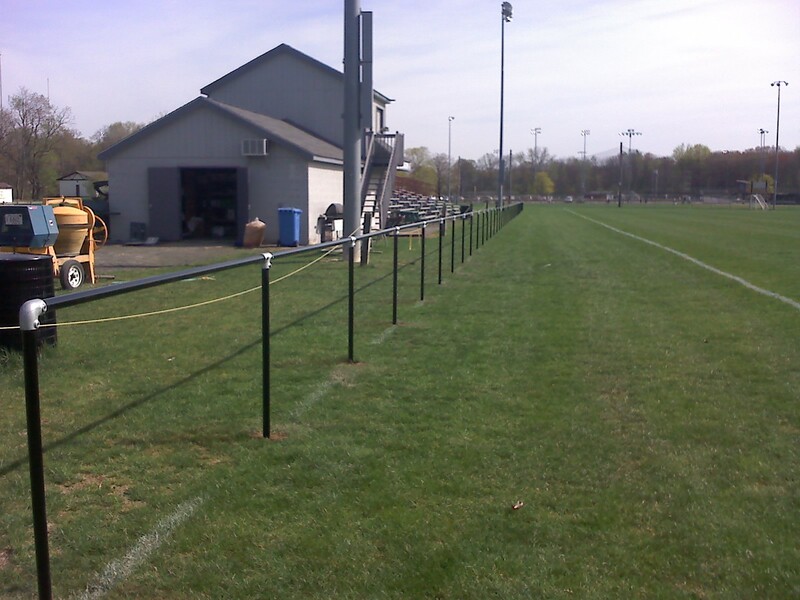 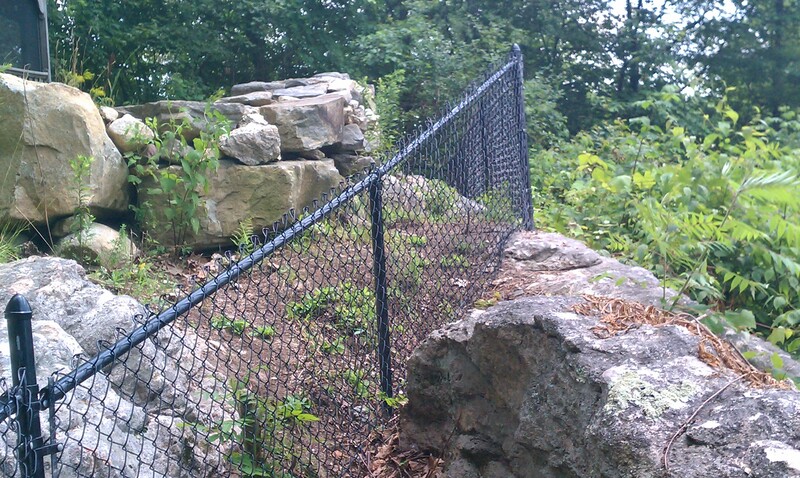 4' high black vinyl system chain link, drilled into rocky ledge (difficult installation).